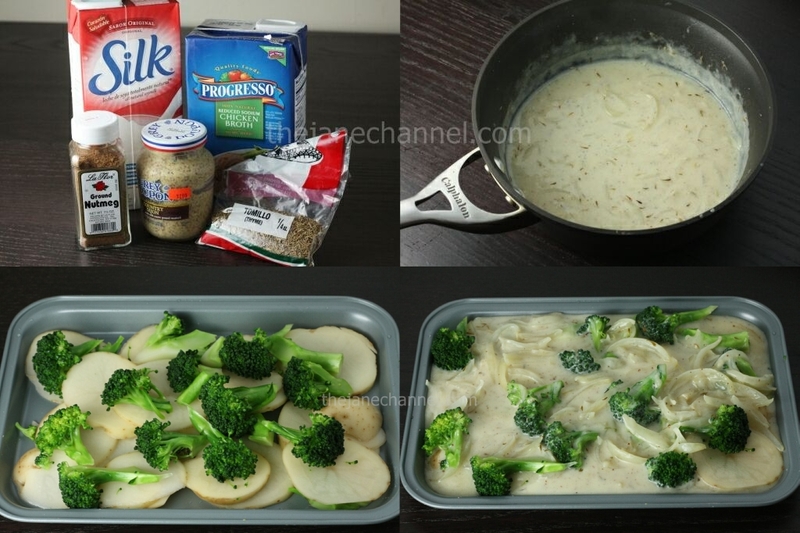 Broccoli Potato Gratin is a classic French dish that is usually served as a side dish. The bread crumbs and cheese melts forms a delicious browned crust over the soft and creamy potatoes inside. The combination of garlic, thyme and nutmeg provides the sauce with flavor and fragrance. 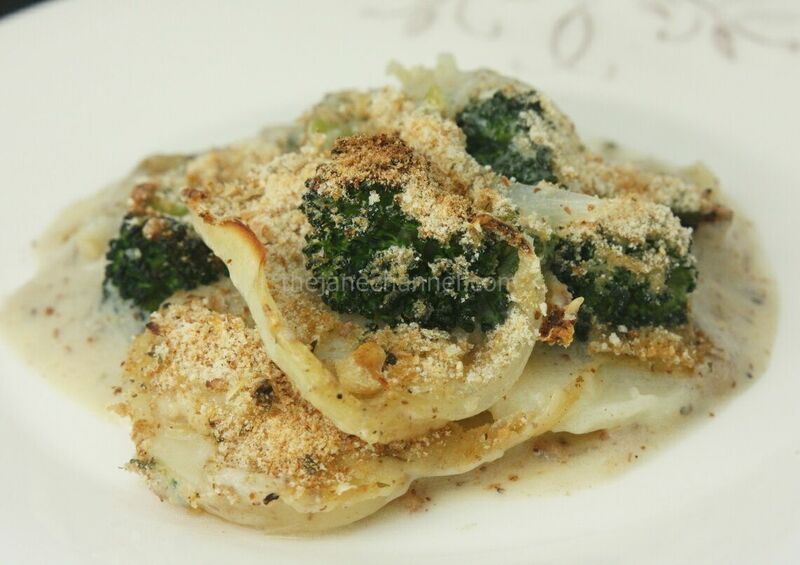 The broccoli adds a bit a crunchiness to complete the perfect balance of textures to the dish. Blanch broccoli for 40 seconds and set aside. In a small bowl, combine flour, chicken stock, and soy milk. Whisk out any lumps. In a saucepan, add butter, garlic, shallots and onion. Saute over medium heat until translucent and add the thyme. Pour the flour mixture to the pan. Add Dijon mustard and nutmeg, salt and pepper to taste. 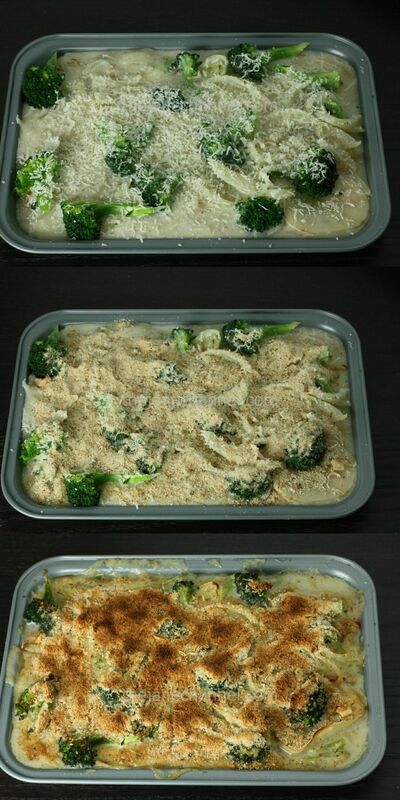 Place potato and broccoli in a 9.5 x 6.25 in baking pan. Pour the sauce over. Top with cheese and breadcrumbs. Bake for 35 minutes at 375 degrees. Then broil until cheese browns, about 2-3 minutes. I want some potato gratin. Mmm cheesey crusty goodness.